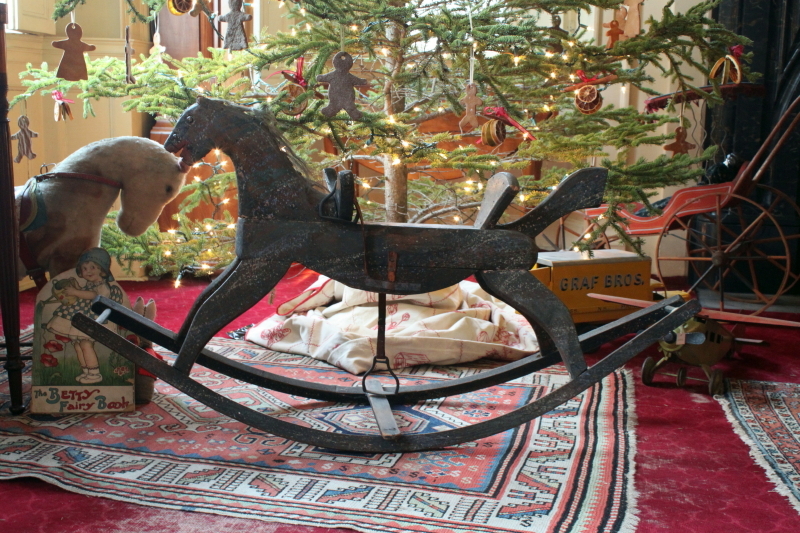 Rocking horse in front of the Christmas tree at the Cushing House Museum. I shot this picture on December 6, 2010 at the Cushing House Museum. My wife and I are members but I had never been inside before. I brought my camera (Canon Rebel T1i) back on a second visit that day after getting permission to take pictures. I thought that a Christmas picture would work in a December issue. Their tree, however, was in front of bright light and very thin. I spotted the rocking horse under the tree and learned from the curator Jay Williamson that it was dated 1850. From close in I used the TV mode with a shutter speed of 1/5, at F-Stop 8, and at ISO 1600.